Brian is a creative entrepreneur with an eye for design. He started his career at the strapping age of 13 with a clothing line. 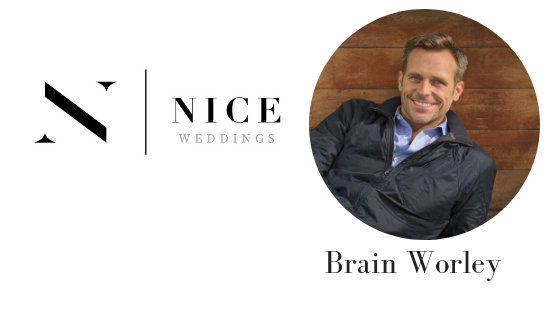 Since then, Brian has designed some of the most elegant weddings and special events across the US including the red carpet in Hollywood. Atlanta is now home to Brian, and Bold Events snagged him up as the “Director of Design” for their amazing, well known company. This podcast episode is filled with design tips, tricks, and secrets… including where and how Brian gets his inspiration. This is also a great listen for you, the bride-to-be, looking for do’s & don’ts on your big day! Doing free events and trades are a way to get your foot in the door, and stay friends with wedding pros in the industry. The design for the entire wedding, many times, starts with the dress. You should have incredible confidence in yourself, but also know that you can learn something new everyday. If you really want a fun wedding, take the time to get your guest list right. Today's show was brought to you by Nice Entertainment! If you enjoyed listening be sure to subscribe & comment on iTunes. Planner Stuck In Elevator Still Rocks Wedding! Lauren and her sister Jenny co-own It Takes Two Events. Lauren switched career paths from being a veterinarian to wedding planning after Jenny opened her eyes to world of weddings. Lauren is BIG on being prepared… which is a good thing when you get stuck on an elevator for 3 hours the day of the wedding. I hope you enjoy this episode as much as I did! Preparedness is key to an amazing wedding! Meet clients on their turf. Best marketing is doing a GREAT job! 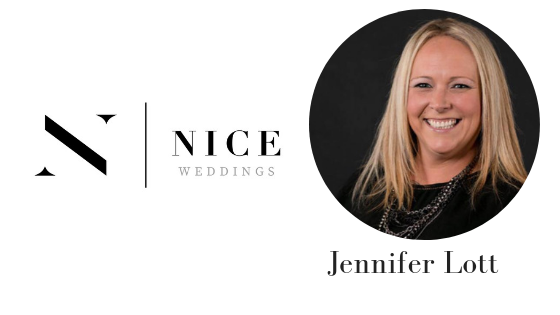 Jennifer is one sweet and fun person and it shows in her planning. From understanding the couples vision and love story - to making sure they have an absolute blast on the dance floor... there is no doubt that you will get some inspiration from our conversation. Personal relationship with client is most important. Shots after the ceremony… Yas! Focusing on ONE thing can be freeing! As you’ll see, Jennifer is a fun girl.